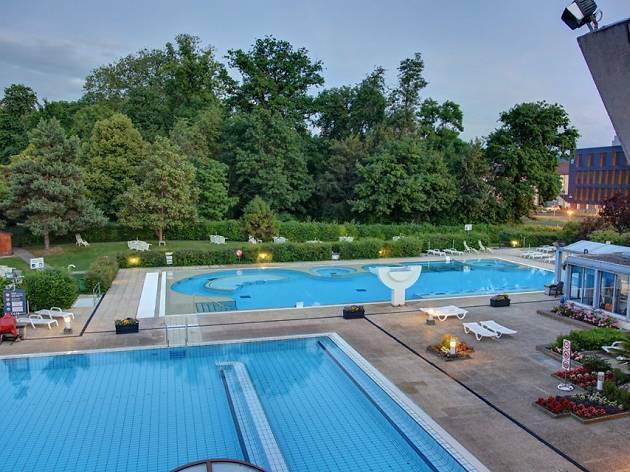 This city spa and thermal baths is a convenient spot for an afternoon of lounging. There are more scenic thermal baths in Switzerland, but what this one lacks in bucolic views it makes up for in convenience and a reasonably entry price. 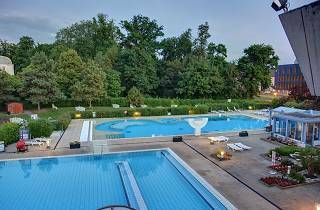 Just a short walk, drive or bus ride from Yverdon-les-Bains town centre, the Centre Thermal draws on the area’s famed sulphur-rich water to offer a complex comprising one indoor and two outdoor pools with all the massage jets, bubbles and gizmos you’d expect. Inside, the relaxation area offers three naked-friendly saunas (one just for women), hammam, Japanese bath, jacuzzi and tropical shower. There’s also a gym, treatment rooms providing massages and beauty treatments, plus a health suite where you can seek hydrotherapy for various ailments. The downside to this city-spa is that the pools can get pretty crowded, particularly on weekends. It also smells rather eggy, thanks to the sulphur, but that doesn’t seem to put anyone off.